Doing it right in Bocas. 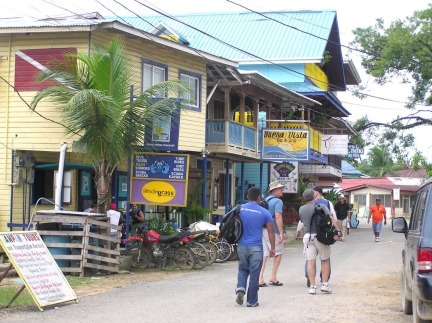 Bocas Del Toro is Panama’s unique Caribbean destination. When I first visited the islands over ten years ago, I loved its slightly decadent and dilapidated charm. A part of that warm feeling has stayed with me since then. Sadly, on my first visits there I came across several unscrupulous land developers – one even tried to sell me a lot right in the middle of a swamp. Bocas has had more than its fair share of swamp salespeople, something that has put a blight on its international reputation. 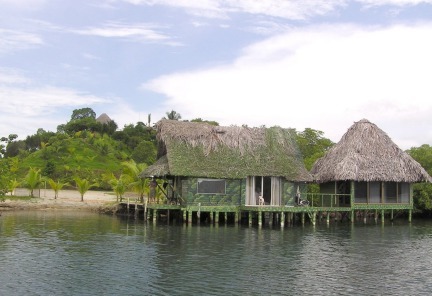 Fortunately, there is always someone who comes along and does it right – fortunately for Bocas, there is Sunset Point. 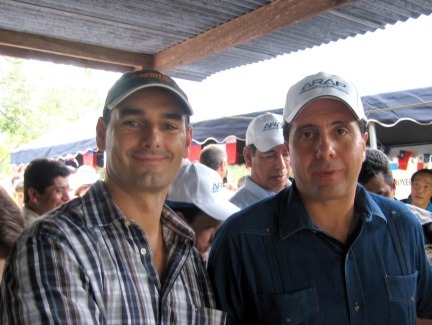 To make a successful project in Panama isn’t easy. You need a bank full of money and an even greater amount of patience and determination. There are a host of regulations and environmental approvals needed and if you think that bringing employment and wealth to a community will have everybody loving you – think again. Doing it right takes a lot of money. Thirty-nine year old director, Mathew Whant states that Sunset Point has spent a seven-figure amount on infrastructure and site preparation. This could be just sales talk. But if you count the number of high priced excavators working on the project. See the roads and utilities already in place (including million dollar sewage treatment) do some simple time based calculations, then yes, the money has been spent. The idea behind the project was to dig two canals along a narrow isthmus draining the land, and allowing for home owners to moor their boats at the front doorstep. Luxury homes with a doorstep marina can be successful – Los Suenos in Costa Rica is testament to that. Sunset Point has worked closely with the Panamanian environment body ANAM and with its prestigious neighbor – The Smithsonian Institute. The most environmentally sensitive plant in the area is the mangrove. Although mangroves are a wonderful habitat for small fish and for filtering water, they are not the most beautiful plant on God’s earth. 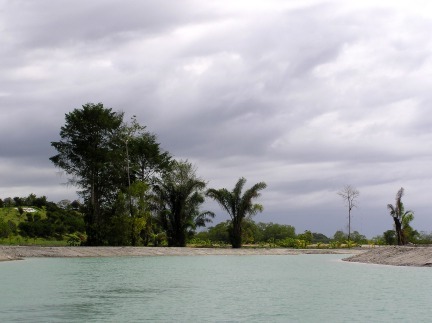 The owners at Sunset Point, much to their credit, have planted mangroves all along the edge of one of its newly excavated canals. I am sure the fish here will be grateful for that. 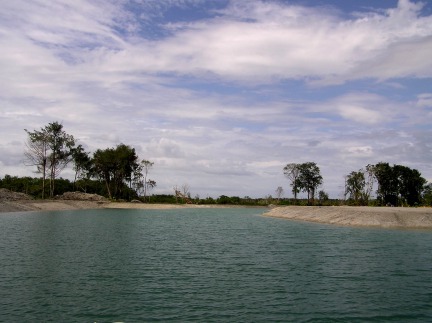 On the west side of the project there is small beach, with has been top-dressed with some imported light colored sand. It’s a delight just to walk on it and then slide down into the azure green water and cool yourself from the midday sun. For the workaholics among us Sunset Point will offer a final piece of technical decadence. Wireless Internet will be available throughout the project. Then those who want to get away from it all – but just can’t get do so – they can access their emails and stock reports while fishing or when sunning themselves on the beach. The project will include several upscale amenities including, 5 star boutique hotel, gourmet restaurants, infinity pool, spa and fitness center, tennis and volleyball courts. Last but not least, why not invest a few million in a private helicopter – because there will be a helipad for the true jet-setters. Stunning views and breathtaking sunsets. Sunset Point lies on a rough west to east axis. 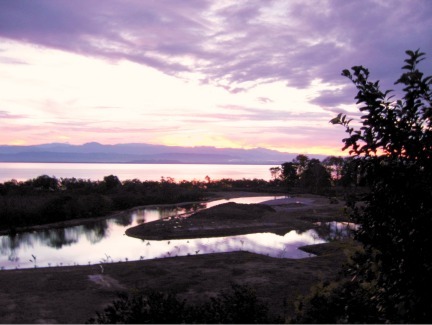 This means that residents will have clear sunrises and awe inspiring sunsets. I am sure in years to come as home owners watch the sun slide beneath the outline of the distant Baru Volcano, there will be many oohs! and aahs! As the sky dramatically runs through its cycle of orange, fire red and deep purple. Lot prices at Sunset Point start at $125,000. That’s for a lot off the water but with marina access. Lots with private mooring bays start at $200,000. Considering how much luxury yachts can cost these days, the house and mooring might just be the smaller cost of your overall marine getaway. The marina will have 118 deep water slips, if you can afford the luxury of something 150 foot long - there is a berth for you. Tourism as a revenue producer, has not escaped the attention of the central government. They are investing a million dollars to upgrade the Bocas airport and will spend about $2.3 million on roads and infrastructure in the Bocas area. 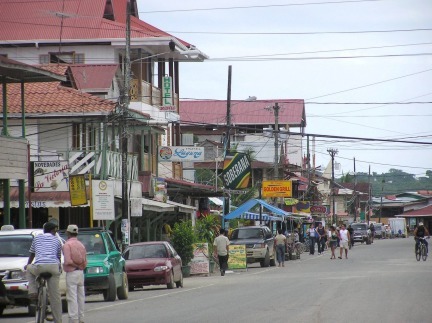 The roads and sidewalks in town have improved immeasurably since I first visited Bocas back in the last century. The quantity and quality of its restaurants has also improved. Now you have many choices of where to eat – from affordable hearty breakfasts to romantic ocean side, gourmet dinners. Do it right and they will come. Doing it right and spending the necessary start up money is the model that other developers should follow. The proof of that is that 60% of the 108 homesites and 66 condo’s in phase one, have already been sold. This should show other developers that if it is done right, then they – the buyers – will come and yes they will buy.